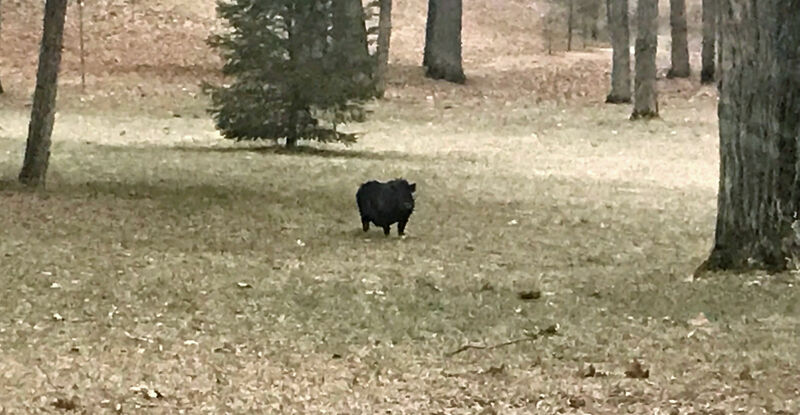 Do you really expect to see pigs on the loose along Jefferson Road? Frank Hones captured the action as he passed by. 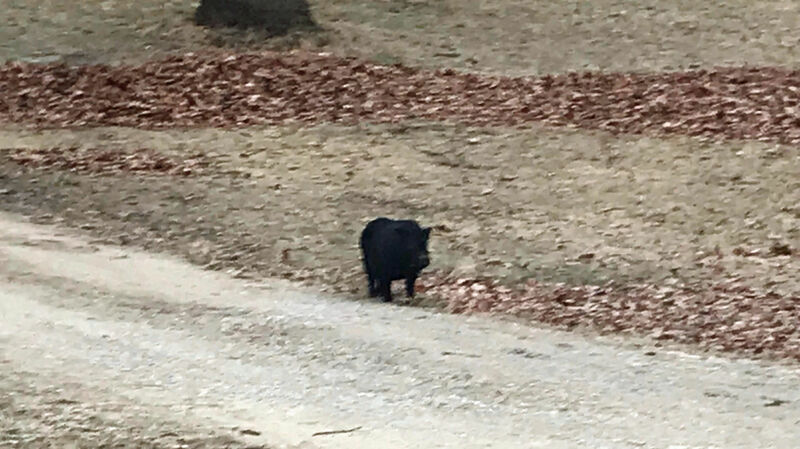 “Vietnamese pot belly pigs are probably somebody’s pets that got away.” The pigs were strolling along an area on the north side of the road, less than a mile west of the fire station in Brooklyn.